2/0-2/0-2/0 SEU Service entrance cable features XHHW-2 or THHN/THWN-2 insulation that offers resistance against moisture, heat and sunlight. 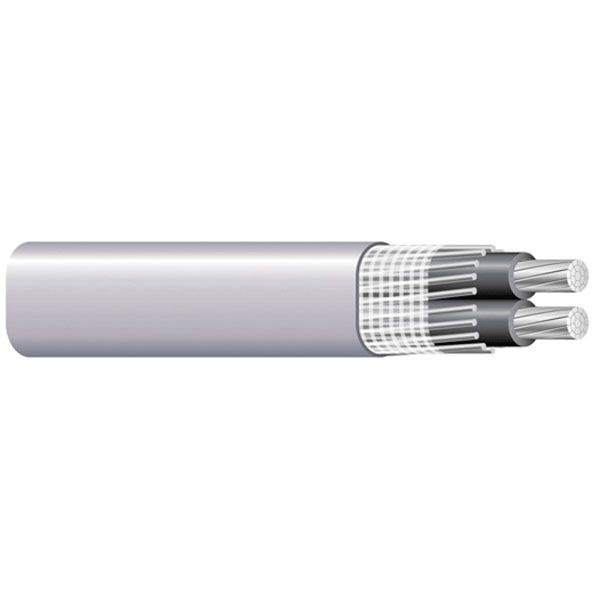 The aluminum cable has voltage rating of 600-Volts and current rating of 150-Amps. It has PVC jacket and outer diameter of 736 x 1221 mil. It withstands temperature rating of 90 deg C. This 500-ft cable comes in master reel. Cable is UL listed, RoHS compliant and ASTM standards.